Ths Swim Specialist provide top quality swimming instructors teaching children and adults to learn to swim. Our baby and toddler swimming lessons provide you and your baby with the perfect environment to bond in the water, build your baby’s confidence and socialise with other parents and children. With fun exercises, songs to sing and plenty of time to enjoy the water together, these baby and toddler swimming lessons are a perfect way to make lasting memories as parent and child. Our friendly expert teachers will be in the pool with you, taking you through the process of introducing your baby to the water and helping them start their journey towards being confident swimmers. 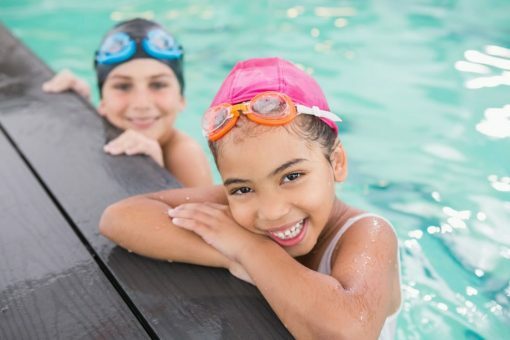 Our group swimming lessons are the perfect way for your child to gain water confidence through to stroke technique in the water. We deliver the Swim England Stages 1-7 which will allow your child to gain recognised certificates and awards. 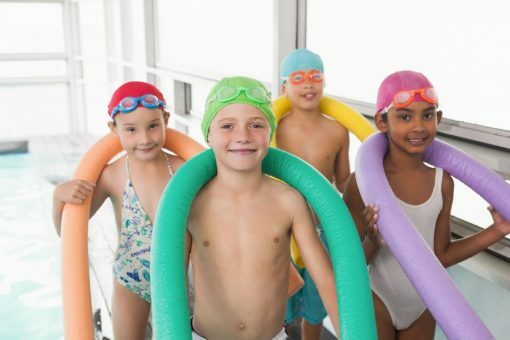 From never being in the water to being able to demonstrate all the four strokes, our 4yr swim programme will ensure your child leaves a competent swimmer, whilst making new friends along the way. Our shared swimming lessons are convenient for swimmers who wish to learn how to swim together. Typically siblings, relatives, or friends that have a similar age or ability. However our swim teachers can tailor the session to meet the individual needs of a swimmer within a shared setting irrespective of their age or ability. Shared lessons eradicate parents waiting around for each child's swimming lessons without compromising the swimmers progress. Our private lessons allow the swim teacher to tailor each swimming lesson to meet the individual needs of the swimmer. These swimming lessons are perfect for children who prefer devoted attention or as a parent you wish for them to fast-track their progress. Our private adult swimming lessons allow you to achieve your desired outcomes. Our swim instructors will create each swimming lesson to help you overcome any obstacles within the learning to swim pathway. These swimming lessons are ideal for adults who would like to learn, develop, or master swimming strokes and aquatic skills. Do I need arm bands? You will not need to bring any arm bands or equipment; we will provide all the swimmers with equipment that is required. In exceptional circumstances, if there is any floatation device that you insist on using then please notify us beforehand. All new customers will need to registered there card for Direct Debit to secure your booking. Once you have been booked on to a course, you will get instant access to our home-portal. You will be allocated a weekly session time and price promised 39 lessons over the course of an academic year. The weekly swimming lessons are delivered on a termly basis which is location specific. Please check our course dates to see when our scheduled holidays and pool closures are. We do offer intensive courses to help accommodate those who wish to swim during holidays. The lessons last 30 minutes. We recommend starting group lessons from 4yrs+ and private or shared lessons from 3yrs+. Baby & Toddler sessions start from 4 months - 4yrs. Then we have adult lessons available for 16yrs+. How long will my child swim with you? Your child can work their way through the Swim England Stages 1 – 7. The Swim England learn to swim pathway is a 4yr program. Typically children will start at 4yrs old and then finish at 8yrs. When do you give badges and certificates? Assessment Weeks and Certificate weeks will occur 3 times a year. During Christmas, Easter, and Summer holidays. Please view our course dates tab for more information.